Alchemical nutrition is a special type of nutrition designed to strengthen our bone marrow, spinal cord and brain. In addition to increasing our vital force, it also helps us develop and enhance our brain’s abilities. It is a geometric crystal type of nutrition, which requires an understanding of position, movement and breathing. Our position in the Universe, the geometry of our body and the ability to absorb, digest and process energy maintains our life force and provides fuel for our organs. This means that as part of alchemical nutrition, position, movement and breath are all indispensable parts of a wholesome lifestyle. 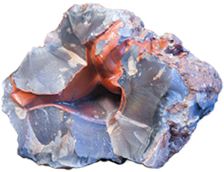 But this is also where its first difficulty arises, at the first level of energy breathing, which helps process cinnabar. The ability to develop one’s own nutrition from the inside brings about a new notion into alchemical nutrition: cinnabar, or the ability to regenerate energy. When we learn to regenerate energy, it means that our nutrition has increased to the cinnabar level (the level of alchemical nutrition). This also includes alchemical breath, alchemical movement, alchemical thinking and alchemical methods of consumption. The main component of alchemical nutrition is, of course, the cinnabar of thinking, or the state in which our brain constantly exercises our mind, or better to say, that «our mind trains our brain.» Imagine that we all have a mixture of hormones in our brain, and we need to shake them up from time to time. This is exactly what we need cinnabar mind for—to process and formulate thoughts in the correct way, so they can both favor and enhance our nutrition. Well-trained cinnabar thinking provides an additional source of nutrition for the body. And without thinking, our brain will not only cease to be a source of energy, but will start to degenerate and fall apart.